Instead of regarding the Bible as "more to be desired than gold" and "rejoicing the heart", like David in the Psalms, somehow, for many of us, regularly feeding on God's word ends up in the same category as regular exercise: a healthy chore we know we should fit in and that we benefit from, but which is hard to manage amongst everything else, and ends up slipping off the agenda. As the Lord Jesus said of his sleepy disciples: "the spirit indeed is willing, but the flesh is weak". Whatever your current Bible reading habits (or lack of them), and whatever your level of knowledge and confidence, Six Steps to Reading Your Bible will help you make progress in getting into your Bible. The course is especially designed for use in small groups, and utilizes a mix of video instruction, fun skits, Bible study, discussion, practical exercises, prayer and home assignments that will help you on the road to establishing a new and more enjoyable Bible reading habit. 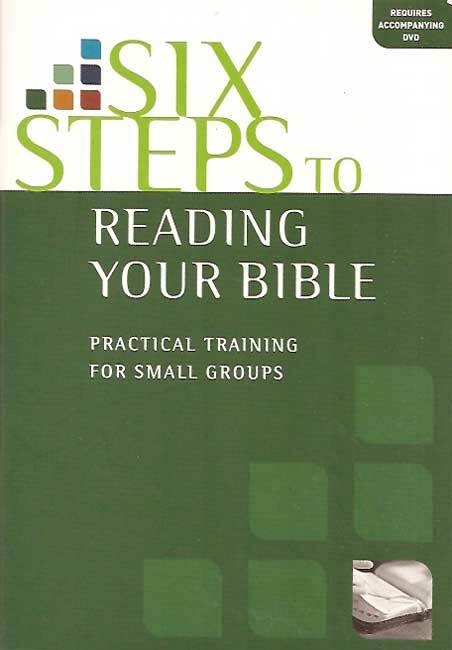 Six Steps to Reading Your Bible DVD by Tony Payne; Simon Roberts is published by Matthias Media and is our 18628th best seller. The ISBN for Six Steps to Reading Your Bible DVD is 9781921441141. Be the first to review Six Steps to Reading Your Bible DVD! Got a question? No problem! Just click here to ask us about Six Steps to Reading Your Bible DVD.